Sturgis, South Dakota (May 21, 2013) – The Doobie Brothers have been announced to join an already massive 2013 concert lineup at the Sturgis Buffalo Chip®. The superstar classic rockers responsible for over four decades of American top hits, will take the famed motorcycle and music festival stage on Monday, August 5, prior to another American icon, Kid Rock. The Doobie Brothers join a 9 day world class lineup during the Sturgis motorcycle rally that already includes The Cult, ZZ Top, Toby Keith, Rob Zombie, Brantley Gilbert, Halestorm, Mastodon, Machine Head, Queensrÿche, Sublime with Rome and many more to be announced soon. Festival dates are July 29 through Aug 11, 2013. Festival event information and campground admission passes are available at www.BuffaloChip.Com. Concerts are free with camping. Founding member Tom Johnston says, “The Doobie Brothers are about playing live,” and that’s a big reason they have been invited to perform at the Largest Music Festival in Motorcycling™. 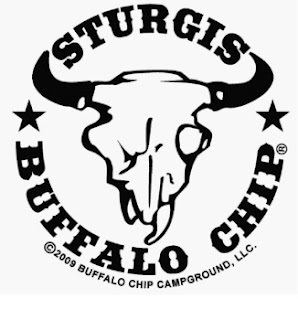 For 32 years the Sturgis Buffalo Chip has been the go to place for live world class performances by epic superstar talent during the Sturgis motorcycle rally. Fans can expect to enjoy the American hit songs everybody knows such as “Black Water”, “Long Train Running,” “What a Fool Believes,” “Listen to the Music” and more. Inducted into the Vocal Group Hall of Fame in 2004 with over 40 million albums sold worldwide, these classic rock legends have been creating, performing and recording hit music and memorable live performances consistently for over four decades. Campground admission passes for Monday, Aug 5, can be purchased individually or as part of the Legends Ride® package. The charitable contribution made to join the Legends Ride® allows free admission to the Doobie Brothers and Kid Rock shows that immediately follow conclusion of the Legends Ride and reception. Information and reservations for the Legends Ride are available at LegendsRIde.com. The 32nd annual Sturgis Buffalo Chip® motorcycle and music festival takes place July 29 through Aug 11, 2013 during the annual Sturgis motorcycle rally. All summer music festival and motorcycle rally information is available at www.buffalochip.com and (605) 347-9000.